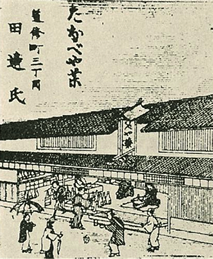 The company's history began in 1678 when Tanabeya Gohei the 1st opened a store in Tosabori, Osaka producing and selling Tanabeya Infusing Medicine. 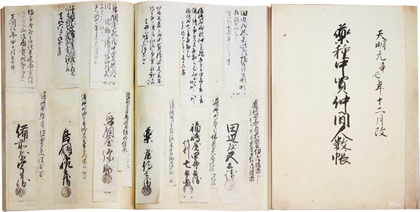 Going back further to 1604, Tanabeya Matazaemon, the great-grandfather of Tanabeya Gohei the 1st, had already started overseas trade, importing and introducing to Japan many valuable medicinal materials from far off regions. For over 300 years since our founding, we have cherished and carried down the spirit of our predecessors, crossing eras and national borders, and have created many pharmaceuticals to contribute to the healthier lives of people around the world. Tanabeya Matazaemon is granted a license to trade in herbal medicines with Luzon. Tanabeya Matazaemon, the great-grandfather of Tanabeya Gohei the 1st, is granted a license by Tokugawa Ieyasu and embarks upon trade in herbal medicines with Luzon (currently the Philippines) and Siam (currently Thailand). Tanabeya Gohei the 1st launches his business. Tanabeya Gohei the 1st launches his business at Tosabori 1 in Osaka to manufacture and sell Tanabeya Infusing Medicine (Tanabeya Medicine). The store's insignia incorporated the first character "Go" of Gohei's name framed by the shape of a mountain. Tanabeya Gohei the 1st receives the title Kurokawa Yamato Daijo Fujiwara Kanenaga from the Imperial Court. 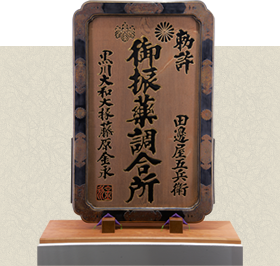 From approximately 1688, Tanabeya Gohei the 1st is hired as an official provider of Tanabeya Medicine to the imperial court. 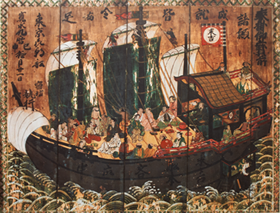 The medicine's acclaim leads to Gohei receiving the title Kurokawa Yamato Daijo Fujiwara Kanenaga from the Imperial Court. Tanabeya Gohei the 6th moves into Doshomachi, Osaka and formally joins Yakushu Nakagai Kabunakama or Medicine Traders Guild. Tanabeya Gohei the 6th acquires stocks from Omiya Kyuhei and makes a long-awaited formal entry to the Yakushu Nakagai Kabunakama. Tanabeya Gohei the 11th opens a new store in Doshomachi 3 (the location of the current headquarters). Tanabeya Gohei the 11th opens a new store in Doshomachi 3 (the location of the current headquarters). The store's size, approximately 9 m x 37 m, was considerable for the time. Tanabe Gohei the 12th opens Tanabe Motosaburo Shoten in Nihonbashi, Tokyo, later to become Tokyo Tanabe Co., Ltd.
Tanabe Gohei the 12th (pictured in the front row, far left) opens Tanabe Motosaburo Shoten in Nihonbashi, Tokyo, later to become Tokyo Tanabe Co., Ltd. 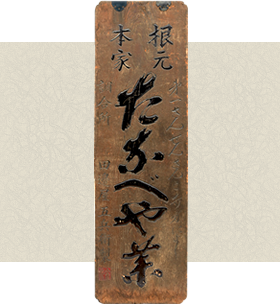 The name Motosaburo belonged to Gohei's younger brother who died at an early age due to a fire in the factory. 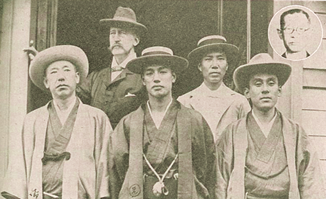 Gohei gave this name to his second son (pictured in the front row, middle). New plant built in Honjo in Osaka's Kita ward. A new state-of-the-art plant is built in Honjo Kawasaki in Osaka's Kita ward, providing a full-fledged domestic pharmaceutical manufacturing facility in Japan. Onoda Seiyakusho established in Onoda, Yamaguchi. The company establishes Onoda Seiyakusho (currently the Onoda Plant of Mitsubishi Tanabe Pharma Factory Ltd.) in Yamaguchi in order to manufacture salicylic acid. 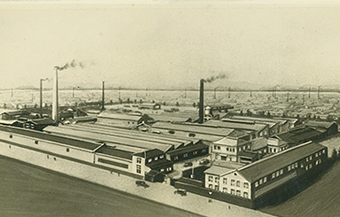 Takeda Kasei Co., Ltd. established. 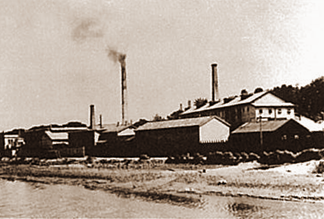 Takeda Chobei Shoten (later Takeda Pharmaceutical Company Ltd.) and Nippon Kasei Chemical equally participate in the establishment of Takeda Kasei Co., Ltd. (later Yoshitomi Pharmaceutical Industries).